24 September 2010 — The CIA used illegally pirated software to direct Predator drone attacks, despite apparently knowing the software was inaccurate, according to documents in an intellectual property lawsuit. The allegation raises fresh questions about the CIA's execution of drone attacks in Afghanistan and Pakistan, which are believed to have killed hundreds of civilians in the past four years. — Read the article at RawStory.com, 481 words. 30 September 2010 — Sometimes it’s the little things in the big stories that catch your eye. On Monday, the Washington Post ran the first of three pieces adapted from Bob Woodward’s new book Obama’s Wars, a vivid account of the way the U.S. high command boxed the Commander-in-Chief into the smallest of Afghan corners. As an illustration, the Post included a graphic the military offered President Obama at a key November 2009 meeting to review war policy. It caught in a nutshell the favored “solution” to the Afghan War of those in charge of fighting it -- Admiral Mike Mullen, Chairman of the Joint Chiefs of Staff, General David Petraeus, then-Centcom commander, General Stanley McChrystal, then-Afghan War commander, and Secretary of Defense Robert Gates, among others. Labeled “Alternative Mission in Afghanistan,” it’s a classic of visual wish fulfillment. Atop it is a soaring green line that represents the growing strength of the notoriously underwhelming “Afghan Forces,” military and police, as they move toward a theoretical goal of 400,000 -- an unlikely “end state” given present desertion rates. Underneath that green trajectory of putative success is a modest, herky-jerky blue curving line, representing the 40,000 U.S. troops Gates, Petraeus, Mullen, and company were pressuring the president to surge into Afghanistan. The eye-catching detail, however, was the dating on the chart. Sometime between 2013 and 2016, according to a hesitant dotted white line (that left plenty of room for error), those U.S. surge forces would be drawn down radically enough to dip somewhere below -- don’t gasp -- the 68,000 level. In other words, three to six years from now, if all went as planned -- a radical unlikelihood, given the Afghan War so far -- the U.S. might be back close to the force levels of early 2009, before the President’s second surge was launched. — Read the full article at TomDispatch.com, 2,035 words. Tuesday, September 28, 2010, a document appeared on our desktop from the Canadian Embassy of the Republic of Cuba. It was a press release presumably sent to every publication in Canada. True North Perspective has done its best via Reuters, Agence France-Presse, The Guardian UK, and Cuba's own Gramma, to provide balanced news and analysis in and about Cuba. Among other developments, we have reported on what has been named the Miami Mafia, based in Miami, Florida. This group of terrorists acts with impunity even after making death threats against President Bill Clinton and Secretary of Justice Janet Reno for their decision to send home the child Elián Gonzaález. — Read the full story inside, 221 words. Thanks so much to Alberte Villeneuve-Sinclair for writing another brilliant piece! "Autumn, apple picking and core values" was a pleasure to read ... and reread. In years to come, the photo will remind your grandchildren of wonderful apple picking memories with you. — Arline Boyd, Victoria, B.C. If only more people would adopt the positive attitudes and healthy lifestyle Alberte Villeneuve-Sinclair recommended in her article, we would have far less sadness in this world. So we must trust destiny as in the wonderful movie Letters to Juliet and appreciate what life offers, one bite at a time. — Suzanne Ménard, Ottawa, Ont. 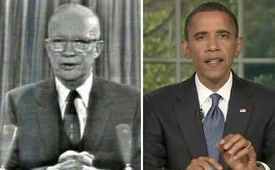 30 September 2010 — So...it turns out President Eisenhower wasn't making up all that stuff about the military-industrial complex. In fact, after you read Woodward's book, you'll split a gut every time you hear a politician or a government teacher talk about "civilian control over the military." The only people really making the decisions about America's wars are across the river from Washington in the Pentagon. They wear uniforms. They have lots of weapons they bought from the corporations they will work for when they retire. — Read the full article at MichaelMoore.com, 838 words. 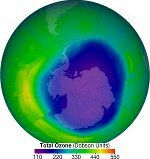 1 October 2010 — Back in the 1980s before climate change became the dominant environmental issue, the depletion of the ozone layer that protects Earth from being burned to a crisp was the greatest threat to humanity outside of nuclear weapons. In mid September, the World Meteorological Organization announced that the thinning of the layer has stopped, thanks to a 1987 ban on chlorofluorocarbons, and should be fully restored by mid century. A few media outlets carried stories about the announcement, usually on an inside page. A pity because the story deserved a lot more attention. For years, depletion of the ozone layer and the dire future we faced if it wasn’t halted made front page news and attracted a lot of attention on radio and television. Back then, the campaign to save the ozone layer sounded like a warm-up act for the debate on the challenge the globe now faces from climate change. — Read the full story inside, 444 worlds. Safety over freedom? Please! Don't be a chicken! 22 September 2010 — Aided by small-minded extremists, Big Oil has a new argument to defend the shoddy management of Canada's oil sands. It goes like this: Canadian oil is fundamentally ethical compared to the world's worst oil producers. But to swallow this remarkable argument you have suspend common sense, ignore the corruptive influence of oil revenue on governments and enjoy the company of murderers and thieves. — Read the full article at TheTyee.ca, 1,617 words. 1 October 2010 — I once was an “enemy alien” ... for a short time, until the authorities realized that my family and the thirty other families that had been settled on less than marginal land in a remote area of northern Saskatchewan, were in fact an enemy of the enemy. Yes, we were ethnic Germans but from what was known as the Sudetenland an area which Hitler annexed from Czechoslovakia with British acquiescence in September 1938. Our folk were anti fascists fleeing from our common enemy. 28 September 2010 — As every former child prodigy knows, high expectations are both a blessing and a curse. A blessing, because past accomplishments open doors which might otherwise stay closed; a curse, because where others are free to hone their craft in obscurity, the prodigy is watched by every critical eye the moment they through that specially-opened portal. 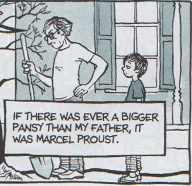 Alison Bechdel was no child prodigy, but she had a long run as a strip cartoonist during which time she was able to hone her craft in a gradually decreasing obscurity with Dykes to Watch Out For, an episodic strip that managed (at least to some extent) to broaden Bechdel's audience from its lesbian (and gay) base to many people who simply liked good comics. But getting your work noticed by The Comics Journal is not in the same league as creating Time Magazine's Book of the Year for 2006, as Bechdel's first graphic novel, Fun Home, was. My copy opens with three pages of review excerpts containing words like "Masterful" and comparisons to David Sedaris, Charles Dickens and Vladimir Nabokov, among others. High praise indeed; not many books could live up to it all. Does Bechdel's? No surprises: it doesn't. So why all the hype? — Read the full story inside, 1,710 words. 29 September 2010 — The average Canadian keeps their mobile device for approximately 2 years and only 12% of used mobile devices are recycled. 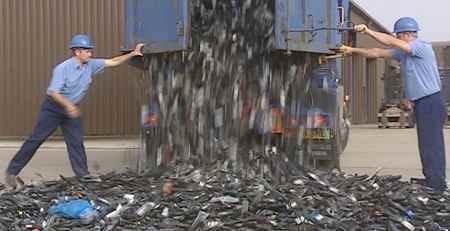 Recycle My Cell is run by the Canadian Wireless Telecommunications Association (CWTA) and offers thousands of drop-off locations for Canadians to get rid of their old device. Waste Reduction Week 2010 is happening from October 18 to the 24 and Recycle My Cell has become the official national sponsor. As part of this initiative the CWTA will launch the “Recycle My Cell Challenge”, a contest for students to see who can recycle the most wireless devices and accessories. The contest closes on November 30th, 2010 and it seems everyone will be a winner with their school being acknowledged on the CWTA website and in local media. 26 September 2010, NEW YORK — The jury was out too long on the BP oil spill of April 20, 2010. Five months after the horrific event, which killed 11 workers and injured 17, the truth finally surfaced. For several weeks following the explosion on the Deepwater Horizon rig, confusion and fear blanketed the Gulf Coast for some 300 to 400 miles. Dozens of businesses were permanently shut down, and hundreds more are still struggling to recover. From the outset, BP was the obvious culprit, even though its state-of-the-art Deepwater Horizon Rig, which stood 378 feet from top to bottom and cost $350 million, hadn’t reported a single accident in seven years. No small feat, considering that offshore drilling, even under optimal working conditions, is dangerous work. But given its poor inspection record, it’s a wonder there were no mishaps on the rig that employed 126. — Read the full story inside, 1,261 words. 28 September 2010, WASHINGTON, D.C. — The strong winds off the Atlantic Ocean could become a cost-effective way to power much of the East Coast — especially North and South Carolina, Delaware, Massachusetts, New Jersey and Virginia, a new study released Tuesday says. The report by the conservation advocacy group Oceana argues that offshore wind could generate 30 percent more electricity on the East Coast than could be generated by the region's untapped oil and gas. It predicts that wind from the ocean could be cost competitive with nuclear power and natural gas to produce electricity. The study appears just as new developments are starting to push U.S. efforts to catch up with Europe and China on tapping the energy in offshore wind. Great Britain last week opened the world's largest wind farm, and China built its first pilot offshore wind farm in 2008, using turbines from the nation's largest wind turbine producer, Sinovel. 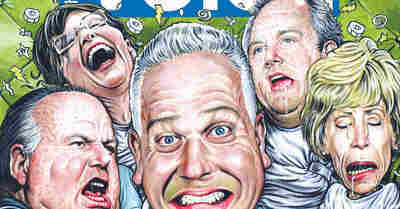 — Read the full story at McClatchy Newspapers, 1,022 words. 27 September 2010 — More than half the oil released from a busted BP well remains in the Gulf of Mexico, a presidential panel was told Monday, as the US pointman lamented a "dysfunctional" response to the disaster. Interior Secretary Ken Salazar meanwhile told the bipartisan commission that the spill had bolstered a drive to reform federal regulations for offshore drilling, promising that lessons were learnt. In an ominous sign for Gulf residents, however, oceanographer Ian MacDonald told the probe that while much of the oil was dispersed, evaporated or removed by burning and skimming, the "remaining fraction -- over 50 percent of the total discharge -- is a highly durable material that resists further dissipation." — Read the full article at RawStory.com, 759 words. 27 September 2010 — The Department of Justice (DOJ) has refused to pursue a probation revocation case against BP after the company was found to have violated a federal judge's March 2009 felony judgment, which required BP to fulfill the terms of a settlement agreement it entered into with government regulators five years ago to make certain safety upgrades at its Texas City refinery by September 2009, according to documents obtained by Truthout. Instead, the DOJ will allow BP to spend two additional years to correct hundreds of safety problems that have plagued the refinery - the third-largest in the country - for a decade and have played a part in the deaths of 19 over the past five years. — Read the full article at TruthOut.org, words. 28 September 2010 — At long last, good news. 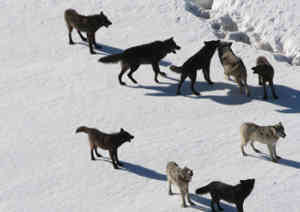 Fifteen years have passed since wolves were reintroduced to Yellowstone National Park and the results are in. The controversial experiment has been a stellar success. The Big Bad Wolf is back and in this modern version of the old story, all that huffing and puffing has been good for the land and the creatures that live on it. Biggie, it turns out, got a bum rap. The success of the Yellowstone project is the kind of good news we long for in this era of oil spills, monster storms, massive flooding, crushing heat waves, and bleaching corals. For once, a branch of our federal government, the Department of the Interior, saw something broken and actually fixed it. In a nutshell: conservation biologists considered a perplexing problem — the slow but steady unraveling of the Yellowstone ecosystem — figured out what was causing it, and then proposed a bold solution that worked even better than expected. Sadly, the good news has been muted by subsequent political strife over wolf reintroduction outside of Yellowstone. Along the northern front of the Rocky Mountains in Wyoming, Montana, Idaho, Utah, and Colorado, as well as New Mexico and Arizona, so-called wolf wars have added fuel to a decades-old battle over the right to graze cattle or hunt on public land. — Read the full story at TomDispatch.com, 1,302 words. Continuation of terrorist plans from the U.S.
24 September 2010 — The statements of Francisco Chávez Abarca and the plans against Venezuela expose the continuation of the terrorist actions against Cuba and raise new questions on the complicity of the CIA, CANF, Posada Carriles and the anti-Cuban members of Congress. As news were published that Luis Posada Carriles and various extremist organizations based in the US intend to carry on their plans of violent and paramilitary actions against Cuba, international terrorist Francisco Antonio Chávez Abarca was arrested in Venezuela last July 1st. He is one of the main links of the Central American connection employed in violent actions against Cuba by the notorious criminal, the Cuban American National Foundation (CANF) and some of its former members that currently make up the Council for the Liberation of Cuba (CLC). — Read the full story inside, 3,558 words. 28 September 2010, MÉRIDA — In Venezuela’s National Assembly elections on Sunday, opponents of President Hugo Chavez won approximately 20 fewer seats than they held during the 2000-2005 legislative term, while the pro-Chavez camp grew by several seats, Deputy-Elect Roy Chaderton said on Monday. Chaderton said the opposition was setting up a “media farce” by comparing Sunday’s results only to those of the 2005 election, which the opposition boycotted, and thus reporting that that opposition drastically increased its presence in the National Assembly. During the 2000-2005 legislative term, which was marked by an array of party splits and shifting alliances, pro-Chavez parties held between 83 and 92 seats at any given time, while opposition parties held between 73 and 82 seats, out of a total of 165 — Read the full story inside, 1,096 words. UN plan for 'alien ambassador' a case of science fiction? Jonathan Leake, science editor of The Sunday Times. 27 September 2010 — If a Martian, proverbial or otherwise, had landed on Earth in the last 24 hours the media had some practical advice. Or so it seemed. According to the Sunday Times and numerous other media outlets that followed up the story, the United Nations was "poised" to appoint an individual to be the first point of contact with aliens. Malaysian astrophysicist Mazlan Othman was being lined up for the role, the story said. As head of the UN's Office for Outer Space Affairs (Unoosa) Othman would be the "nearest thing we have to a take me to you leader [person]", Prof Richard Crowther, from the UK Space Agency, told the Sunday Times. — Read the full article at The Guardian, 293 words. 29 September 2010 — About 12:01 on the afternoon of January 20, 2009, the white American mind began to unravel. But when that streak was broken—and, for the first time, a non-white president accepted the oath of office—white America rapidly began to lose its grip. — Read the full article at The Village Voice, 3,865 words. 22 September 2010 — A mythical beast, not seen for more than 160 years. A nocturnal animal that feeds on the rotten flesh of large mammals. A species active only during the winter months that reportedly emits a luminous glow from its large, orange head. What new horror is this? It's a fly, the bone skipper Thyreophora cynophila, and it is back from the dead. Considered globally extinct until now, the first fly to be killed off by humans, the bone skipper was first described by an entomologist who found it on the carcass of a dog in 1798. Last seen in the 1840s, it has now been rediscovered by Daniel Martín-Vega and colleagues of the University of Alcalá in Madrid, Spain. — Read the full article at New Scientist, 548 words. 29 September 2010 — A Russian firm on Wednesday announced an ambitious bid to fill the vacuum in the space tourism market by stationing an orbiting hotel in the cosmos. The Moscow-based Orbital Technologies has sky-high hopes that its planned Commercial Space Station can serve as a tourism hub for well-heeled travellers and offer overspill accommodation for the International Space Station and workspace for science projects. But it's unlikely to come anytime soon — the company wants to launch a seven-room station by 2016 but may increase or decrease that capacity based on customer demand. It also remained unclear whether the state-controlled RKK Energia company, named as the general contractor for the project, would have enough funds and capacities to carry out the plan. Energia builds Soyuz crew capsules and Progress cargo ships to deliver space crew and supplies to the International Space Station that would be the only link to space after planned retirement of the U.S. shuttle fleet next year. — Read the full article at RawStory.com, 420 words. Guess which is now being punished by the financial markets? 29 September 2010 — Future historians will marvel at the austerity madness that gripped policy elites in the spring of 2010. In a flurry of blind panic and irrational exuberance, organizations from the European Central Bank to the Organization for Economic Cooperation and Development suddenly abandoned everything we had learned, at a bitter cost, about economics during recessions and decided that fiscal austerity was the way to go while the world was in the depths of a slump — indeed, many claimed that spending cuts would actually be expansionary. Not only was there an illogical push for austerity, but there also emerged a widespread demand for central banks to raise interest rates in the face of falling inflation and high unemployment. This madness was exemplified by the O.E.C.D.’s economic outlook report in May, which supported these ideas. But the O.E.C.D. has suddenly changed its tune. — Read the full story at TruthOut.org, 779 words. 29 September 2010, Dublin — The last time I was here in Ireland, eight years ago, the Celtic Tiger was still roaring. The country had zoomed from poverty to wealth, enjoying an unprecedented economic boom, with unemployment down to 4.5 percent and consumer spending and average wages at all-time highs. But now? I stood on board a restaurant ship docked along a bank of the River Liffey with my friend and colleague David Kavanagh, executive director of the Irish Playwrights and Screenwriters Guild. His hand swept along the shore as he used the panorama of the city skyline to describe what has happened to the country's economy in just two short years. The Beckett Bridge cost 60 million euros to erect - about $80 million US (and no Waiting for Godot-like jokes about a bridge to nowhere, please). Near it stands Dublin's brand new national convention center, built for 380 million euros - that's almost half a billion dollars. Both structures epitomize the spending spree that once characterized Ireland's booming prosperity. Torn down to make way for the convention center were red brick Victorian warehouses where trains delivered goods for transfer to the cargo ships that once docked here. A handful of them still stand. But next door, rising jagged like a broken tooth, is the unfinished building that was meant to be the new headquarters of the Anglo Irish Bank. — Read the full story inside, 1,039 words. 30 September 2010 — MARYSTOWN, Newfoundland — A quick-thinking teenager in southern Newfoundland used a small stone to escape from her car after she wound up in the Atlantic Ocean. "One moment I was on the road, and the next the car was falling," said Hayley Young, describing how she had been driving on an unfamiliar road in Marystown on Tuesday and was unable to stop for a sudden curve on the top of a hill. Her car went over an embankment and plunged into the sea. — Read the full story at CBC News, 246 words. 30 September 2010 — Jonas Deronzil is a farmer from the village of Mogé in Haiti's fertile Artibonite Valley, and one of about 2,000 members of a production and marketing cooperative. Here he analyzes the problems Haitian small producers face, notably US food imports, and proposes alternatives. I am a peasant planter, that's all I do. From 1974 when I got out of school, I attached myself to my hoe so I could earn my bread. I've been farming for 36 years. My parents were planters too, my whole family going all the way back. — Read the full article at TruthOut.org, 975 words.